« Success today, success tomorrow!! 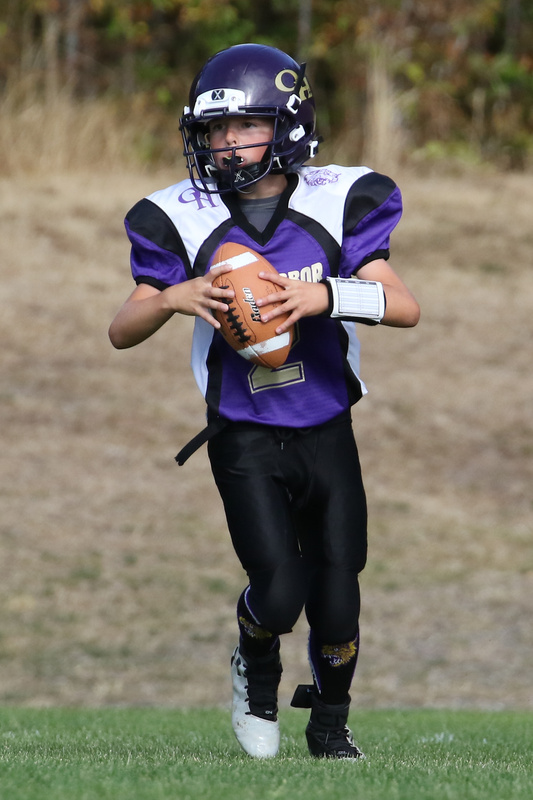 Next generation rules gridiron today!! One of Coupeville’s Bronec brothers (right) battles in the pits. Is it Hunter or Hurlee? Only their mother knows for sure. Wyatt Howard (13) and Gabriel Reed (far right) lead the charge, as Downes prepares to deposit the ball in his running back’s hands. The gridiron is alive with the sounds of fall. Helmets hitting, water bottles squirting and paparazzi clicking. 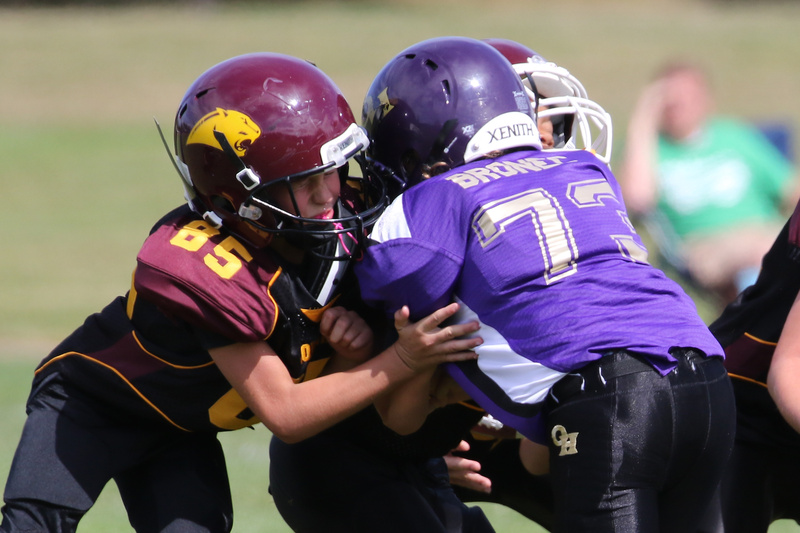 As the Oak Harbor Football and Cheer League opened regular season play Saturday, John Fisken was in place, snapping away and capturing all the action. 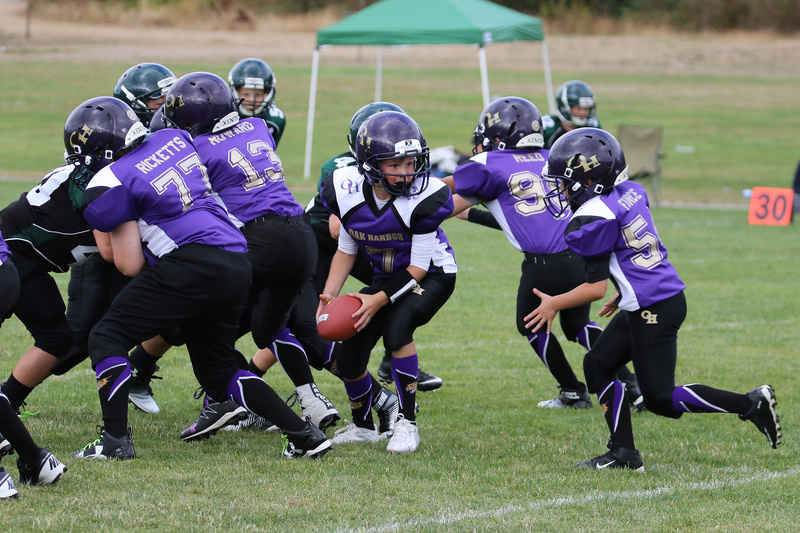 The pics above, which come courtesy him, showcase a few of the Coupeville kids playing youth football while disguised in purple and gold.